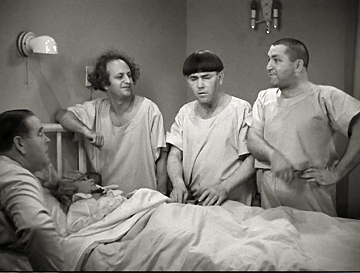 An epidemic of delusional back-patting syndrome is challenging physicians and staff at southern Maine medical centers. 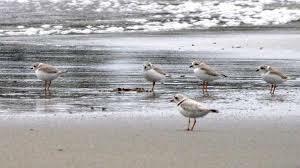 Bird extremists are being admitted to area hospitals at an alarming rate as they take credit for what is at best a modest improvement in the piping plover population on Maine beaches this summer. The psychiatric aspect of the epidemic, however, arises from the belief by many of the sufferers that the changes in the dog ordinance in Scarborough are somehow responsible for any improvement in plover numbers. manifestations of the syndrome. “Many of these folks actually believe that the Scarborough ordinance changes directly resulted in improved plover nesting activity when the observed data support no such conclusion,” Fine noted. “Unfortunately, this is a phenomenon we are seeing more frequently as people are swayed by organized misinformation campaigns conducted by unscrupulous individuals and organizations,” said Fine. “These bogus claims can be especially damaging when they are unrefuted,” added Dr. Curlwin Fine, SMC’s chief of Neurodelusional Psychoses. 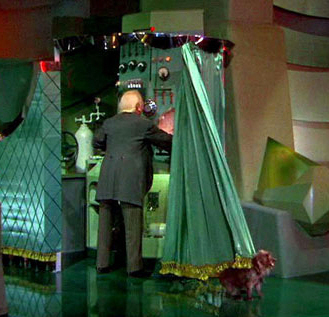 Hidden camera photo taken inside Audubon headquarters. But seriously… it’s time to clear the air on the current piping plover situation. To read the press accounts, you would think that 2014 is to piping plovers what 2004 was to the Red Sox – a long-awaited miracle. It is not so, gentle reader! Despite the Audubon spin machine being throttled up to warp velocity, the current statewide piping plover population is almost identical to last year’s and still way below historic highs. And, more importantly, there is not the slightest shred of evidence that Scarborough’s newly restrictive dog ordinance is in any way related to the miniscule improvement. As we have in the past, let’s look at the facts. The facts are our friends. 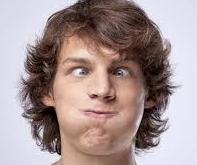 Indeed In many places, facts are used as a basis for developing regulations, laws and ordinances. Just not here in Scarborough. But I digress. In a story about the miraculous plover season of 2014 in the July 4 issue of The Leader, noted plover authority Town Councilor William Donovan is quoted as saying “There are more plovers than people can remember on our beaches.” Well, the same article notes that there are a total of four nesting pairs on Scarborough beaches this year. My, my, you would have to go back all the way to 2011 – yes, three whole years ago – for the last time there were four nesting pairs on Scarborough beaches! Apparently people have short memories. The same article also has this nice summary of the current statewide plover population: “Overall across the state, there are 45 piping plover pairs and 87 piping plover chicks.” According to Audubon’s 2013 Piping Plover and Least Tern Newsletter, the 2013 count was 44 pairs and 85 fledglings. Where I come from (SoPo), sounds like 2013 and 2014 are pretty much a dead heat. And well below the statewide record of 66 pairs in 2002. (Please recall that in 2002 off-leash dogs were the rule; somehow, off-leash dogs and the little guys coexisted quite nicely back then. ) So let’s take off the rose-colored glasses when presenting 2014 plover statistics. Also mentioned in The Leader article is the current plover population of Old Orchard Beach at four nesting pairs. What is not mentioned is the historical context of the OOB number. This is the largest number of nesting pairs ever recorded at OOB. Previously , the record was two pairs calling OOB home (in 1997 and 2013). And from 2010 to 2012 there were no nesting pairs. Why is this important? Well, this spring the Old Orchard Beach Town Council told the US Fish and Wildlife Service just what they thought of the Service’s piping plover “guidelines.” It boiled down to: “take a hike.” So OOB continues to have significant off-leash time from Memorial Day to Labor Day and no “restricted areas.” And yet their piping plover population is thriving. Perhaps off-leash dogs encourage plover nesting by providing an effective and natural deterrent to the real plover predators, like crows, gulls, foxes and raccoons. Now there’s a thought. “Beach nourishment” can be a lot like sausage-making. It takes a strong stomach and a hearty sense of humor to be able to read the recent batch of stories about USFWS’s dithering on whether or not to allow a resumption of the Scarborough harbor dredging project. First, you have to accept the notion that the project is all about creating suitable habitat for the Sacred Bird. Horse hockey! Here’s a sentence from a June 15 Portland Press Herald article: “If wildlife officials don’t readily allow the beach-replenishing plan to continue, [Town Manager] Hall said, the Army Corps could decide to barge the sand out to sea, as it often does, and the town would lose an opportunity to refurbish Western Beach, much of which has washed away in recent years.” Almost sounds like Western Beach belongs to the Town, doesn’t it? 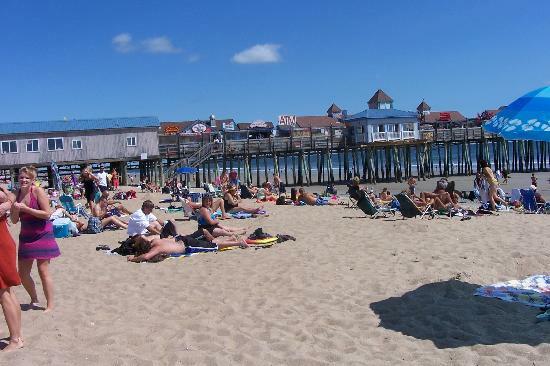 Why is the Town so concerned about a private beach? And speaking of USFWS dithering, when do you think they’ll come to a conclusion on the settlement agreement with the Town on the pending fine? This summer? Next year? Never? Based on comments from USFWS and Town officials, it’s anybody’s guess. At the moment, USFWS is “conducting an internal investigation” as to the adequacy of Scarborough’s new dog restrictions. According to the July 4 article in The Leader: “Spokesperson Meagan Racey said the service hopes to release the result of the investigation within the next few weeks, but could be pushed back if more immediate issues arise.” I see, sometime in the next couple of months… unless something more pressing comes up. Doesn’t sound like a high priority, does it? 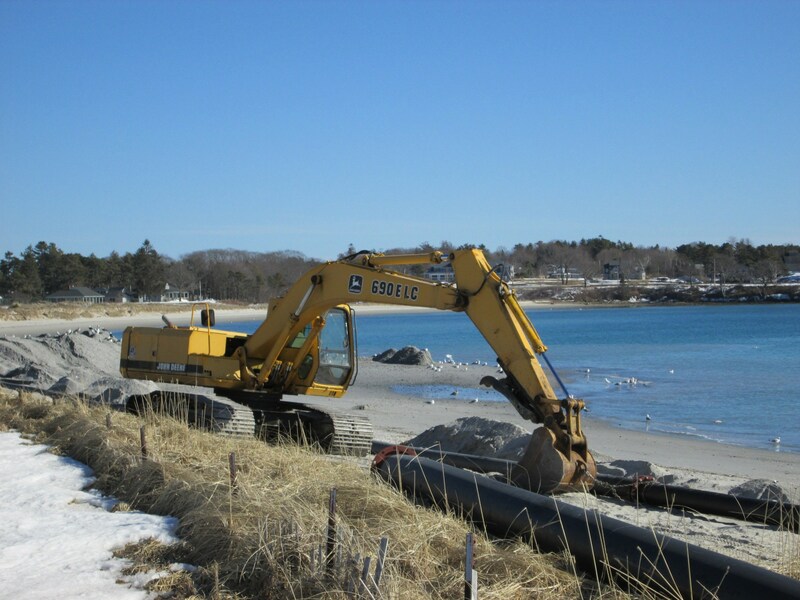 Can’t wait until the beach “renourishment” starts up again this fall. But that sand color! Oh my! 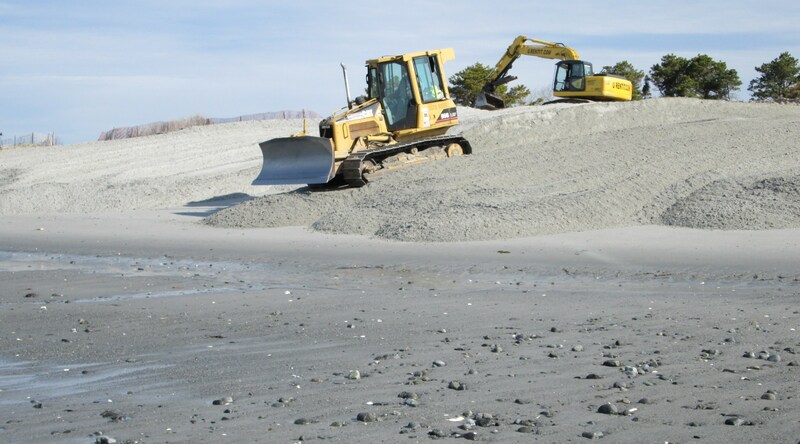 In a June letter from USFWS to the US Army Corps of Engineers (USACE) grudgingly allowing the dredge project to resume in the fall, USFWS makes the point that the sand deposited on Western Beach in phase one of the dredge project didn’t match the existing sand on the beach in either color or consistency. Oh my! We all know how finicky the little guys are about their sand! This will never do. And, in order to continue the charade that the dredge is all about the Sacred Bird, we will honor their highly-refined aesthetic sand sensibilities. In fact, according to the June 26 Portland Press Herald article: “Army corps officials have promised that the remaining dredged materials will match.” I cannot wait to see the equipment and/or process that will color and re-size the sand that gets dredged up this fall so that it matches the current beach. That is going to be awesome! I hope the little guys will appreciate the engineering marvels that are going into this project. The Year of the Gull? A July 1 story in the Bangor Daily News about the US Fish & Wildlife Service giving its blessing to a continuation of the Scarborough harbor dredge project this fall attributes this to Ryan Wynne, Scarborough’s piping plover coordinator: “There are no nesting piping plovers on Western and Ferry beaches, but Wynne said piping plovers from other beaches often come to Western and Ferry to forage.” Hmm, I’ve spent a fair amount of time at Ferry/Western this year and haven’t yet seen a plover there, foraging or otherwise. (In fact, when I was there on the 4th, the only foraging birds I saw on the beach were a couple of crows… perhaps looking for those foraging plovers.) I’ll follow up on the facts behind the assertion that piping plovers often visit Western/Ferry beaches when they’re feeling a bit peckish; I’ll report back in the next update. Until next time — enjoy summer with your dog(s) on the little strips of beaches we haven’t been chased off. Yet. This entry was posted in Uncategorized on July 6, 2014 by Site Author.